Church of Christ of Flagler Co. Published in 2004, Joseph spent several years researching the material contained in this book. There are numerous, helpful diagrams presented along with a wealth of biblically sound information. The premise of this splendid volume is best explained by the writer wherein he says: "It is not possible to make intelligent decisions or choices concerning things in which we have little or no knowledge and understanding, In worldly matters, we accept this as just plain common sense. However, in the spiritual realm, most people find themselves following the leadership, teaching and doctrinal theology of religious organizations, oftentimes from the cradle to the grave, and never once questioning or challenging the authority of their teachings. This complacency, generally based on a lack of bible knowledge, more often than not leads them down the easy road of blind faith, which is smoothly paved with the apostate doctrines of man made theology. This is a departure from the pure and eternal word of God, which is the only standard of righteousness and truth we have to guide and direct us as we sojourn through life. It is also the standard to which we will be held accountable at the Judgment. For those who would like to gain an in-depth understanding of God's word, this is an excellent source and maintains its intregrity throughout its pages. The emphasis is on personal choice to either accept God's terms of salvation or reject to condemnation. 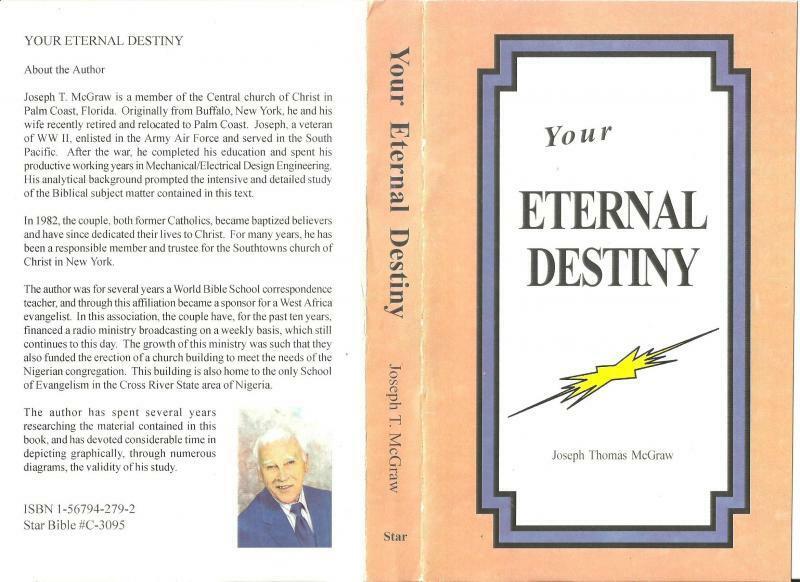 Joseph is the deceased husband of Angie McGraw who is also listed among our published writers. There is only a limited number of copies available of this edition.